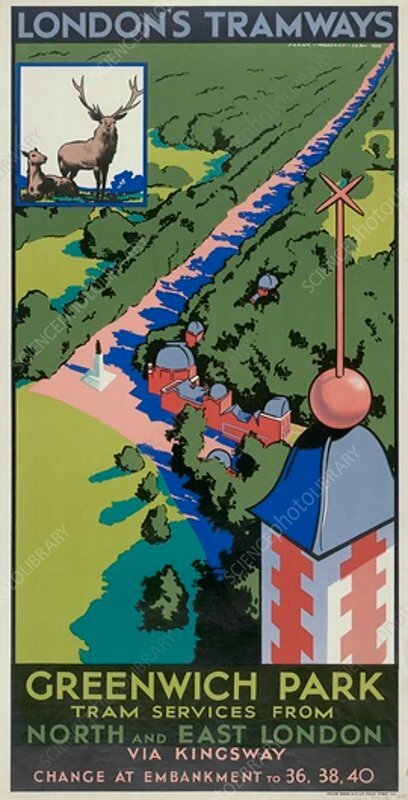 Greenwich Park, Tram Services from North and East London via Kingsway', London County Council (LCC) Tramways poster, 1932. Showing a bird's eye view of Blackheath Avenue in Greenwich Park. Part of the Royal Observatory and the statue of General James Wolfe can also be seen.